KAMPALA – Challenger e-hailing company Taxify – the SafeBoda rival that has aggressively rolled out service to Ugandans – is now called Bolt. The Estonian company announced the change on Thursday, and quickly updated its apps and their various listings in app stores too, for the time being, “Bolt (Taxify)”. According to the statement, the company has changed both the name and the logo. But the app specifications haven’t changed. 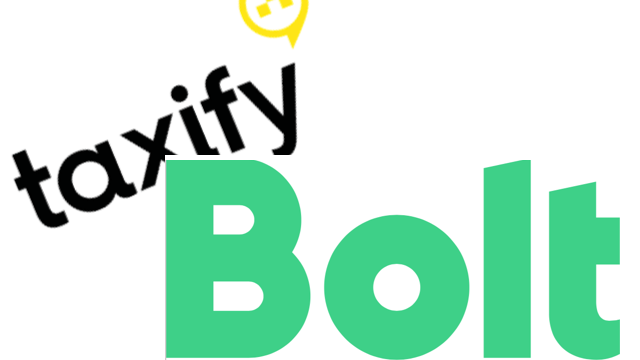 Bolt/Taxify is reportedly looking for more funding, after it raised the equivalent of $1 billion in May 2018 from an investor group led by Daimler, the parent company of Mercedes-Benz. The company said it had “started to outgrow” its brand and wanted to highlight that it is not all about cars and that it believes the future of transportation is electric. Bolt was available alongside traditional car e-hailing in the Taxify app. Ride-hailing companies – and focussed competitors – believe such scooter rentals are the inevitable victor for short-hop trips within major cities. “While we’ve made progress on our mission, we’ve also started to outgrow parts of our brand, including the name. Given our ambition to solve transportation problems on an increasingly broader scale, we want the brand to reflect the company’s future rather than the past. Our new name ‘Bolt’ stands for fast, effortless movement – exactly what the experience of getting around in a city should be, be it by car, scooter or public transport. It also underscores our belief that the future of transportation will be electric”, Country Manager for Uganda at Bolt, Julian Byamugisha explained. Byamugisha explained that customers will not need to download the as the one they already have on their mobile devices will change automatically from Taxify to Bolt. “Once you open the app, you will be informed about the name change. Our new visual style along with the new logo will be rolled out gradually,” reads in parts the statement.